The Voice of the Philippines Season 2 gears up for the second batch of artists undergoing the Live Shows. On January 31, 2015, the artists of the four camps will finally try to capture the enough votes to carry them to the next rounds. 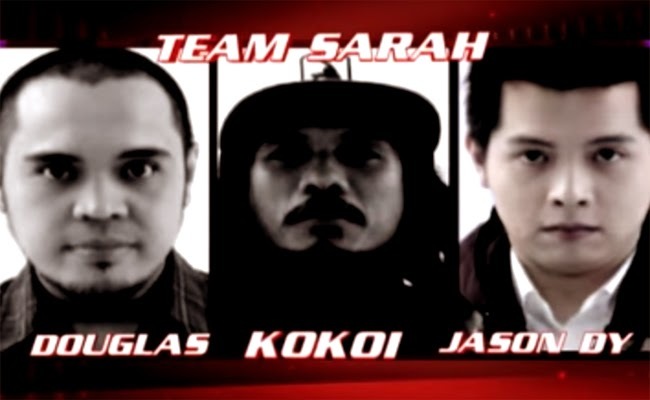 For the second batch of Team Sarah, Jason Dy, Douglas Dagal and Kokoi will try their best to impress their coach to give them a slot to the next round and impress the viewers to give them enough votes to be safe. Jason Dy said that he had idolized Ed Sheeran and he decided to sing ‘Thinking Out Loud’, a very popular song nowadays. Sarah said that he shouls make sure that his words are clear. She challenged him to give justice to the song. Jason promised to do his best for his family, friends and fans. Sarah stood to cheer for him. Apl said that the performance was tastefully done. Sarah said that he makes her fall in love every single time she hears him and shared that he could touch people’s hearts. Douglas shared how he missed his family every time he is far away from them. Sarah said that she could feel the message of his song. Douglas sung ‘Home’ to express his hopes to just stay in the country to be with his family instead of working abroad. Bamboo believed that his voice is naturally a gift. Sarah said that she was able to connect with the song. The voting lines are now open. The viewers now have the ability to save the artists that they are rooting for. February 1, 2015 will make up the day when the last two slots for the next stage will be filled.